Our vision is a city that feeds itself. Long Beach is far from this. Quality real food is accessible primarily to the wealthy. The goal should be access to affordable, quality, culturally appropriate food to communities that need it. One way is through community farm co-ops throughout the city, in every neighborhood. LBGROWS began Long Beach’s first community farm co-op, Unity Farm, to grow food together on shared land for a shared harvest. We will be relocating the farm co-op and ask for your assistance in the move. We believe the local food movement should be about food for people, not for profit. We advocate for what we think is best, growing food locally—in a manner that fosters cooperation and sharing of resources—such as we accomplished at the original Unity Farm. The co-op model addresses sustainability by using members’ fees and participation to produce food on shared land. The issue of cultural appropriateness is addressed because members are involved in the selection of what is grown. Members and volunteers learn how to grow food, something that does not happen when one is not directly involved. If their survival ever depends on having these skills, they will be prepared. Our recent sponsorship level donors will appear on our event t-shirts! Food security: affordable, nutritious, and culturally appropriate food for all people at all times. 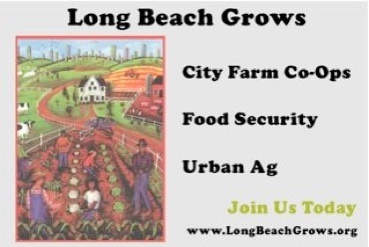 LONG BEACH GROWS’ mission is to promote green, healthy, environmentally sustainable urban agriculture in Long Beach, California, and other activities that educate, enhance, & grow our communities by ensuring & safeguarding local food security. We are addressing local food security by bringing small scale agriculture back to the city. We are providing people the means to grow or access chemical-free real food locally & affordably to feed their families, & teaching people basic food-related life skills. LBGROWS was founded to advocate for food justice, food security, and urban agriculture. January 2010, LBGROWS began the first comprehensive directory of local urban agriculture resources in Long Beach (this website). LBGROWS led the advocacy movement for systemic policy change with our pro urban ag petition (>1800 signatures). May 2010, LBGROWS joined Catalyst Network of Communities. July 2010, LBGROWS started our yardsharing program. We help as matchmaker between people with backyards and others without, to garden together. 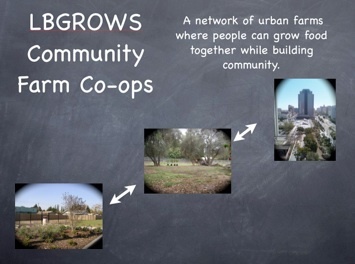 October 2011, LBGROWS began Long Beach’s first community farm co-op, Unity Farm, to grow food together on shared land for a shared harvest. February 2012, LBGROWS started Long Beach’s first heirloom vegetable seed library, freely available and shared at workshops, community events, or by special arrangement. April 2012, LBGROWS became a 1%FTP partner. March 2014, LBGROWS has a new fiscal sponsor. Your donations to LONG BEACH GROWS are greatly appreciated and still tax deductible, care of the Winkle Institute (501c3 tax id# 45-4009945). This project grew from being told NO. See our story. Read our petition. Please help Long Beach GROW. Your donations are tax deductible. JOIN LONG BEACH GROWS™ today. LONG BEACH GROWS calls for freedom to grow your own clean healthy food in your own backyard, including eggs and milk, if that is what you want to do. You are what you eat and what your food has eaten. 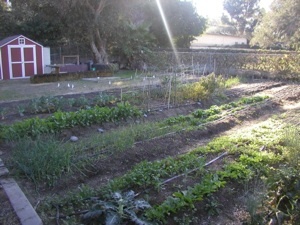 The best food is home grown or grown by you in one of our Long Beach community gardens, i.e. food that you know and can trust. Other good choices include agricultural products grown and raised locally, available through our local farmers markets and CSAs. This site will help you find what is available in our community, as well as explain what you can do to help see that urban agriculture in LONG BEACH GROWS™.